No restoration can be considered complete unless the transmission and torque converter LOOK and PERFORM with the original "showroom floor" characteristics. The SMR CLASSIC Restoration series incorporates the latest technology and upgrades for enhanced performance and reliability while maintaining and restoring the original shift charteristics of the model for which it is being installed. EXTERIOR:- is restored to its' Original Natural Aluminum finish to retain authenticity. The cleaning and surface refinishing process is accomplished by high pressure wash, hot chemical pressure wash, oxide blasting, hot chemical rinse, fine glass blasted and final high pressure rinse. -meticulously cleaned to prevent any contamination of internal components. - each component including the pump, input and output shaft, are precisely BLUEPRINTED to the optimum clearance specification. - the valvebody is finally bench tested to assure proper pressure apply sequences, shift circuit operation and leakdown. TESTING: Every function of the transmission assembly is precision tested during the rebuild to assure leak free pressure apply every component. Every circuit apply and release function is precisely tested and evaluated prior to completion. Only through comprehensive tests are we assured that the transmission will perform to its' peak efficiency and customer satisfaction. NOTE: ALL TRANSMISSIONS (EXCEPT MEGA TORQ) ARE SOLD ON AN EXCHANGE BASIS. An applicable core charge will be added until a rebuildable core of the SAME MODEL, is returned to SMR. -the converter drive tube (neck) is replaced with a new alloy unit restoring its' bearing surface, diameter and structural integredy. -the unit is precision welded assuring accurate internal clearances and alignment of the crankshaft centerline and input shaft centerline. The mounting pads are degreed to 90% of centerline to eliminate flex and vibration. -the balanced unit is then pre-lubricated and pressure tested to assure a leak free assembly. IF NUMBERS MATCHING COMPONENTS ARE NOT REQUIRED OR ORIGINAL UNITS ARE NOT AVAILABLE, ALTERNATIVE CORES MUST BE SUPPLIED. IN CONSULTATION WITH THE CUSTOMER, SMR TRANSMISSIONS WILL PROVIDE ALTERNATE UNITS THAT WILL BE CONSTRUCTED TO REPLICATE THE APPEARANCE AND CHARACTERISTICS OF THE ORIGINAL UNIT FOR THE RESTORATION VEHICLE. 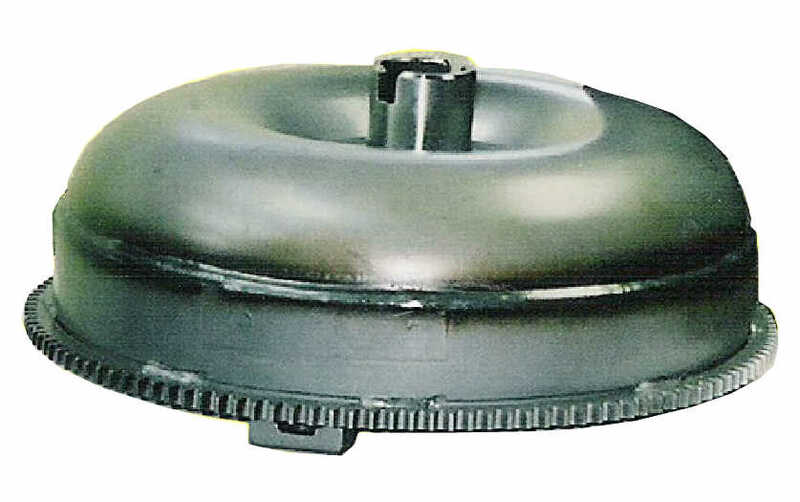 SMR CLASSIC RESTORATION Series TRANSMISSIONS AND CONVERTERS ARE AVAILABLE FOR ALL 1962 AND LATER REAR WHEEL AND 4 WHEEL DRIVE CHRYSLER AND AMC (WITH TORQUEFLITE TRANSMISSIONS) VEHICLES. -WE WOULD TAKE GREAT PRIDE IN BUILDING THE TRANSMISSION AND CONVERTER FOR YOUR VERY SPECIAL MOPAR RESTORATION.